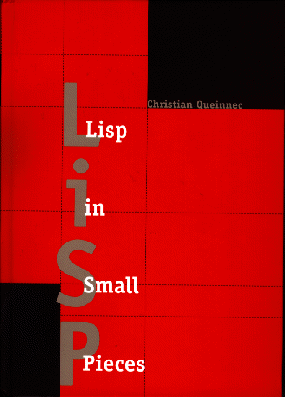 The exact title of this book stands for "Lisp in Small Pieces". This book covers Lisp, Scheme and other related dialects, their interpretation, semantics and compilation. To sum it up in a few figures: 500 pages, 11 chapters, 11 interpreters and 2 compilers. This book was first written in French. 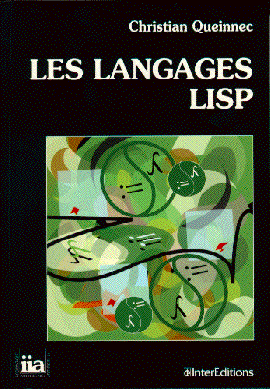 It was published by InterÉditions, under title "Les Langages Lisp". See exact bibliographic reference or cover page . Unfortunately this edition is now out of press. A new (slightly revised) edition will be issued by February 2007. It will bear a new title "Principes d'implantation de Scheme et Lisp". See Paracamplus for more details. The book also exists in English, published by Cambridge University Press, under title "Lisp in Small Pieces" (£40.00/$49.95). See exact bibliographic reference or cover page. The programs of this book are available on the net. These programs used to run with some Scheme systems around 1994. Chapter 2: Name spaces and Recursion Some new interpreters introducing lexical and/or dynamic binding, single or multiple namespaces, various brands of global environments. Chapter 3: Escape, Continuation A bunch of control operators (catch/throw, block/return-from, unwind-protect, call/cc) all explained through an interpreter written in OO style. Chapter 4: Side-effect Assignment, data mutation and equality explained through another interpreter where everything is coded by lambdas. Numerous variants such as dynamic binding, global environments. Chapter 8: Eval and other reflective features A whole chapter on eval, its implementation and cost, in all the previous interpreters/compilers. Also introduce first class environments and a complete reflective interpreter. Chapter 9: Macros Everything you want to know on macros, macroexpansion, hygien etc. in relation with (separate) compilation and interpretation. This chapter contains another macro system. Chapter 10: Compilation towards C Another complete compiler from Scheme towards C and its runtime in C.
Chapter 11: An Object System (named Meroonet ) The innards of an Object system (based on Meroon ) in Scheme. There are also corrected exercices, a bibliography and an index.